Which SuperTopo guidebooks include a topo for Knapsack Crack? 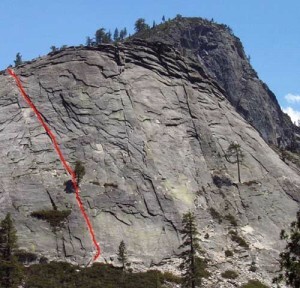 the route as seen from Highway 50. A view from the Highway 50.